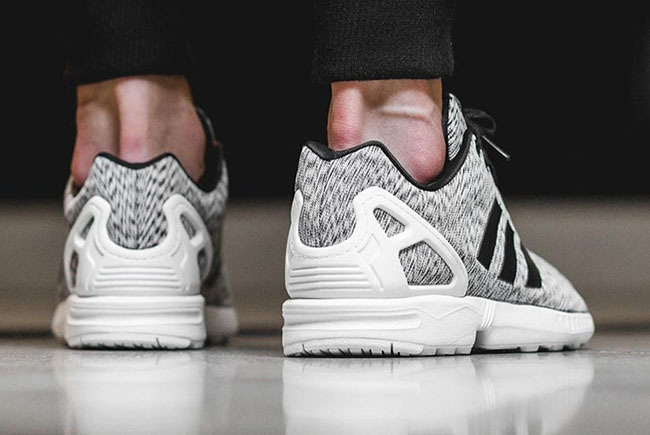 The adidas ZX Flux is making a strong statement with their latest graphic printed release. 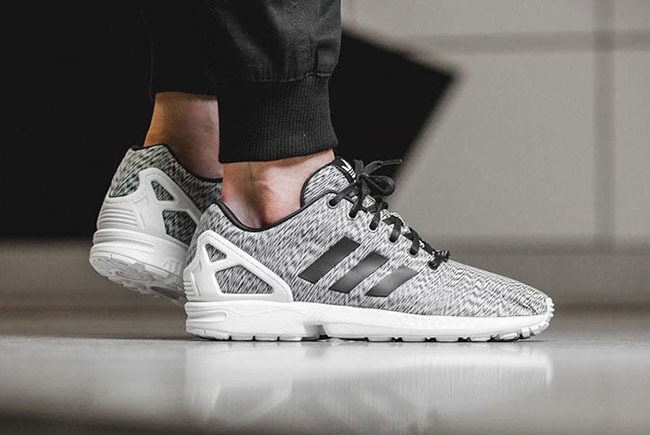 Shown is the adidas ZX Flux ’Static Print’. 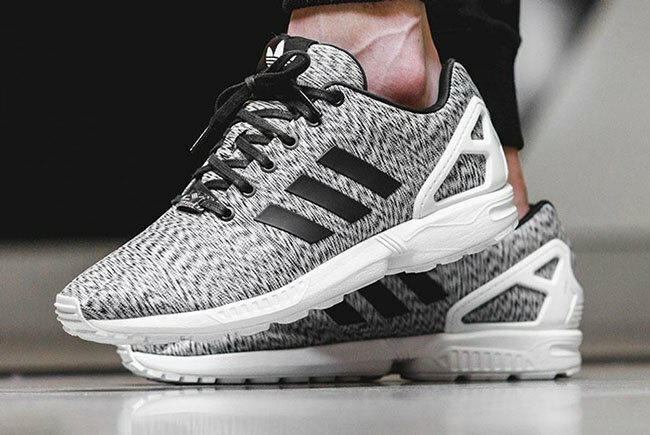 This adidas ZX Flux will come in a clean yet simple color combination of White and Black. 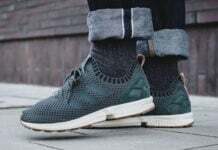 Looking closer at this pair, they feature a static print across the uppers along with woven textile. 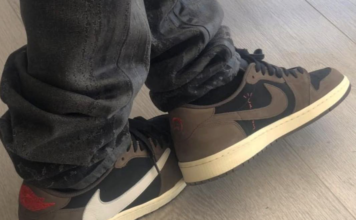 In addition we have Black that lands on the tongue tab, laces and Three Stripes down the side. Finishing the look is White which hits the heel counter, runs through the midsole and extends across the outsole. 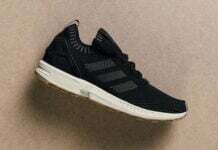 Continue to scroll below to check out more photos of the adidas ZX Flux Static Print which will show you how the model looks on feet. For those that are interested in purchasing, they are available now at adidas Originals retailers which includes Afew. Retail price is set at €85.00 which comes out to be about $95 USD. At the time of writing, they shop has limited sizes available.